Died aged 19 on 24th January 1917. Only son of Rose E. Knee of 35 Cross Street, Newark. This page was added by Website Administrator on 09/07/2014. 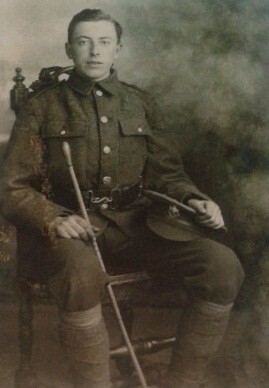 Reginald was an apprentice turner and enlisted in the 3/8th Battalion Sherwood Foresters at Newark in May 1915 aged 19. Following training he arrived in France on the 16th July 1916 with the 14th Reinforcement.